What’s the deal with ALeean? 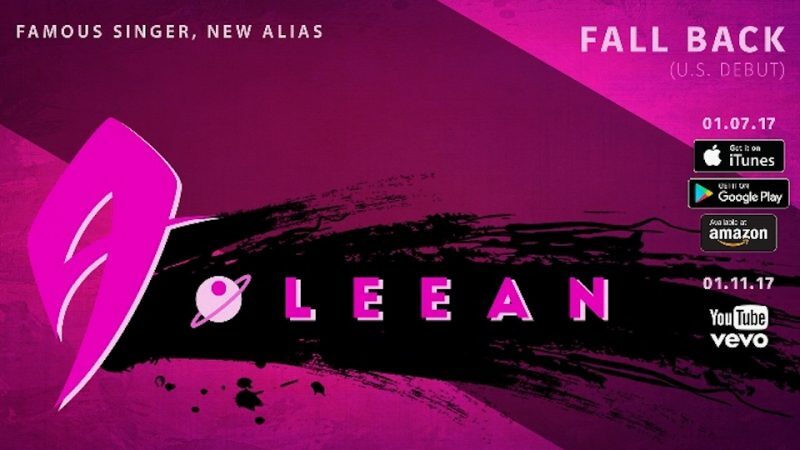 On Jan. 5, f(x)’s Amber Liu posted an image on Instagram to promote a “famous singer, new alias.” The image announced that a singer, using the alias A.leean, will make her U.S. debut on Jan. 7 with the single, “Fall Back.” Amber’s fans were quick to offer options as to whom the mystery singer A.leean might be. Many of the guesses veered towards Ailee, a K-pop singer known for her outstanding vocal performances. A.Leean’s chosen alias offers clue to her identity, but the fact that Amber posted the image also suggests that it might be Ailee. Amber and Ailee are close friends and have performed together. At KCON NY in 2016, Ailee, a Korean-American singer raised in New Jersey, did mention that she was angling to release music in the United States. For a few weeks, A.Leean won’t publicly state her identity or make promotional appearances. The release of the song’s music video will also be delayed, leaving listeners free to speculate on her musical background. According to Kim, the decision to release music anonymously enables listeners to judge the singer on the merits of her voice and not her background. If A.Leean is, in fact, already a K-pop star, she has chosen a different route than other Korean or Korean-American singers attempting to debut in the U.S. As yet there is no predictable formula for a successful crossover. Psy dominated the charts with his Korean language “Gangnam Style,” while 2NE1’s CL released the English language single “Lifted” in Aug. 2016 and reached 94 on the Billboard Hot 100. Even Korean-American bands have until recently met with limited success; the most successful was Far East Movement. The group’s record “G6” reached first place in Billboard’s Hot 100. Any k-pop singer trying to break into the U.S. market will confront complicated concerns, including misleading preconceptions and the possibility of racial prejudice. The international platform that YouTube offers can make a formal music release in the U.S. seem less important to some recording artists, but A.Leean’s team sees it as the logical next step toward global recognition. Kim is working with LA-based Westside Entertainment to launch the singer he describes as “having powerhouse vocals” and “being a mix between Whitney Houston and Ariana [Grande].” Westside Entertainment is the company behind The Notorious B.I.G., Nelly, MASE, Lil Fizz, and Keyshia Cole. After playing the single for members of his music industry family, Westside Entertainment VP Stephen Umavitz is confident that this singer has what it takes. “Fall Back,”A.Leean’s single about falling in love again has a Jan. 7 release date. On Jan. 11, the lyric video will be released on YouTube. The official video will be released at a later date, depending on how “Fall Back” performs in the U.S.
A.Leean is not the first recording artist to anonymously release music. Electronic dance producer and DJ Marshmello is currently at 84 on the Billboard Top 100 and his real identity remains unknown. But while anonymity creates hype at first, that won’t matter if the singer does not ultimately climb high on the charts. Luckily, if this is who we think it is, we’re sure A.Leean’s vocals are going to impress America. Do you think A.Leean has what it takes to succeed in the U.S. market? Can you guess who she is? Share your thoughts in the comment section below and be sure to subscribe to the site. Follow us on Facebook, Twitter, Instagram, and Tumblr to keep up with all of our posts. This article was originally posted on Kultscene.